The men’s soccer team faced Sonoma State in an evenly-matched game Friday afternoon that ended in a shutout and Gator loss. In an intensely physical game where two SF State players had to leave due to injuries, a goal by Sonoma State forward, Brenton Frame, gave his team the only goal it needed in a 1-0 victory for the visiting team in the twenty-first minute. The goal by Frame came on a cross by Aaron Glover, which Frame put into the upper-right hand corner of the net. The first half was largely played on the SF State side of the field as Sonoma State was putting the Gators under constant pressure. The Seawolves outshot SF State 7-3 in the first half, and four of the seven shots were on target. In the second half, SF State had a number of missed scoring opportunities. One was a shot by defender Jorge Valadas in the seventy-second minute that went just high over the goal. The CCAA rivals met this week expecting a tough, physical game. “They’re certainly a rival, but it’s more about it being a CCAA game, especially the opener. Everybody’s a little keyed up,” said assistant coach Kelly Coffey. Coffey said the plan was to take a more physical approach since Sonoma State is known as a finesse team. SF State wanted to take them out of their comfort zone and thereby increase the chances for victory, but the physical game plan backfired for the Gators. The physical approach by the Gators included hard battles for control of the ball, not being afraid to make contact with an opposing player when the ball was in the air, and pushing back when pushed by a Seawolf. 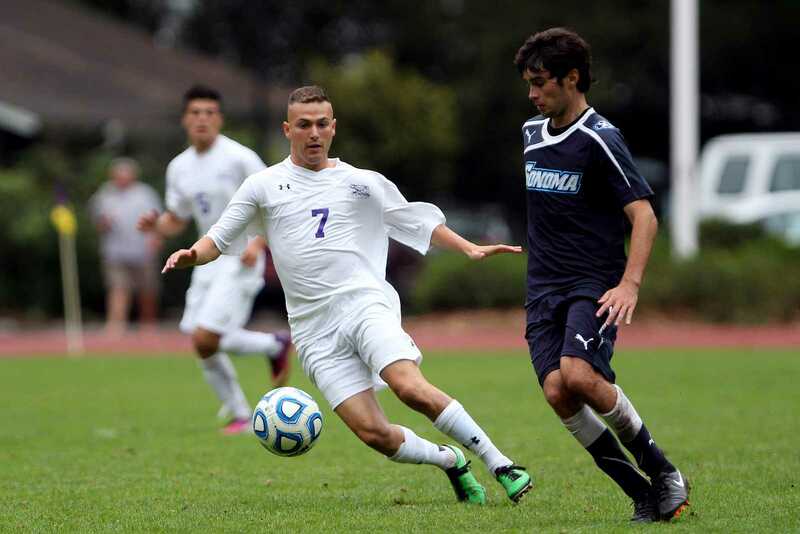 One of the injured Gators was defender Max Talbert, who just began his first season with SF State after transferring from Golden West College in Huntington Beach, Calif. While battling for the ball with a Sonoma State player, Talbert fell to the ground hard and immediately writhed in pain. Talbert had to be helped to the sidelines and left the field shortly after. He returned later in the second half with his arm in a sling. “I think he’s lost for the season, I think he broke his collarbone,” said head coach Joe Hunter. 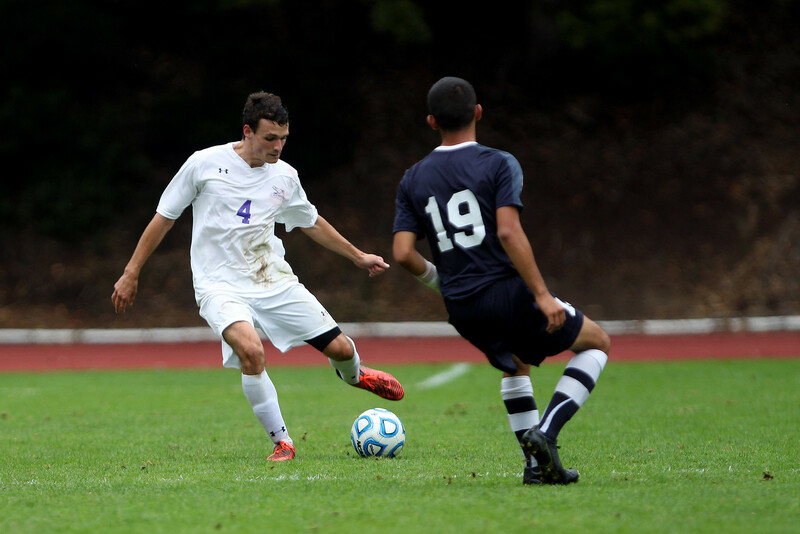 The other player injured was midfielder and defender Matias Rodriguez, a freshman from Temecula, Calif. Details about his injury were undisclosed by trainers. Hunter did mention that Rodriguez should be back this season. The injuries to Talbert and Rodriguez add to the team’s past injury woes. Sophomore midfielder and forward Jared Magaoay tore a tendon in his elbow last week. Magaoay will probably be back this season, said Coffey. “They’re a big part of the team and we really can’t replace them. But, we’re going to keep moving forward, so that’s not going to stop us and hopefully they’ll get better soon and get back on the field with us,” said Valadas. After this loss, the Gators fall to 0-1 in CCAA play and 1-2 overall. Sonoma State improved to 1-0 in conference play and 2-0-1 overall. The 1-2 start for SF State isn’t the way the team wanted to start the season, but Valadas feels good about the team. Despite the loss and injuries, Hunter is ready to move the team forward.